The Federal Reserve today announced the first interest rate hike of 2017, and the second rate hike in three months. The Federal Open Market Committee concluded its meeting with the announcement that the Fed will raise interest rates by 25 basis points to 1 percent. The last rate hike occurred in December, when the Fed moved to raise rates from .5 percent to .75 percent. The Mendocino area realty market has seen an uptick in prices and more activity as the market is moving from a buyer’s market to a seller’s market. During the month of February, the Coastal Mendocino Association of REALTORS® (CMAR), collected pet collars and toys to benefit homeless cats and dogs at the Mendocino Coast Humane Society. REALTORS® collected collars with “personality” to help the animals at the shelter be noticed by prospective adopters and toys to help the animals feel special while they wait for their forever homes. During the project, over 30 pet collars and almost 70 cat and dog toys, plus a few other items like kennel pads, were collected and presented to the Mendocino Coast Humane Society’s Director, Chuck Tourtillott. The Mendocino Coast Humane Society (MCHS) was created by Coastal residents who desired a “no-kill” alternative to the County’s Animal Control. 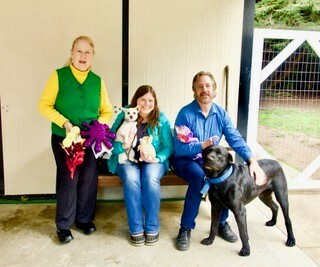 Their Adoption Center, on Summer’s Lane, provides a warm, comfortable and secure temporary home for the animals. They utilize their Mobile Pet Adoption truck to improve visibility of the program and increase adoptions. The MCHS relies on the generosity of our community, in both time and money. They welcome financial support, as well as the time spent by the many volunteers who walk the dogs, socialize with the cats and help out at their Ark Thrift Store.